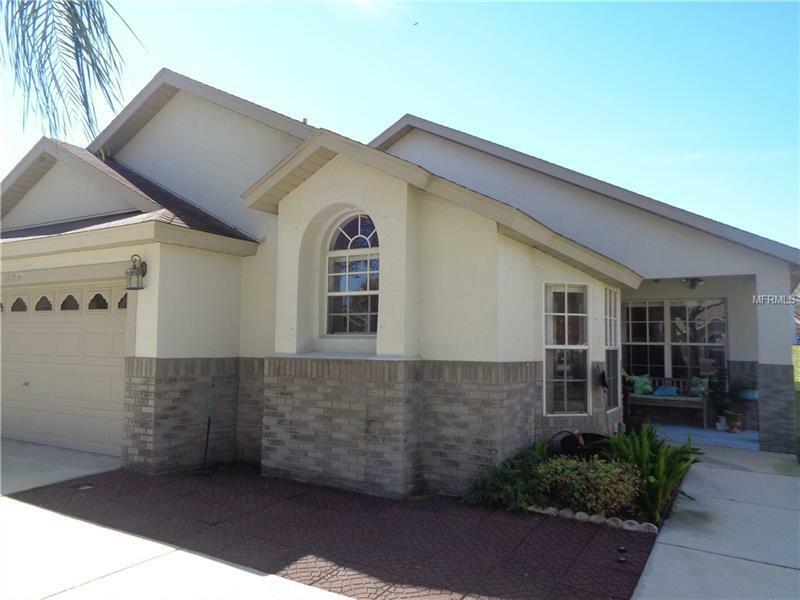 This gorgeous, 4 bed 3 bath, one story home is clean, and ready to move in. It is nestled directly off Highway 27, in Clermont, bringing you very close to all the shopping and dining. Orange Tree is also close to 192, and all major theme parks. Easy access to Toll Road 429, Florida Turnpike, Highway 50 (Colonial Drive), and Interstate 4. The ENTIRE home has Reflector Epoxy throughout! No carpets or tile anywhere. The Epoxy is a darker-neutral color which goes well with everything. The home is tastefully upgraded, and well maintained. Split floor plan with the master on one side of the home. Master bedroom has pool sliding door. There is plenty of closet space throughout the home. There is an in-suite bathroom in one of the other bedrooms making it a private living quarters. The kitchen has a cozy, extended breakfast nook. All lighting in the home has been tastefully upgraded. There is a spacious, covered pool patio with a high ceiling. The oversized pool features heating and a hot tub/spa. There is also an additional pool entry door in the back hallway giving you access to the guest bathroom. This home is a perfectly layed out, split floor plan. Wide open living areas, and private rooms. LOCATION, LOCATION, LOCATION...This community does allow short term and long term rental and usually has a high occupancy due to the convenient location to everything, and it is not congested. This is a gem in an established community. Will not last! Pet Restrictions: Buyer's agent to verify pet restrictions.